Dematerialize yourself and go to hell. The streets are ours tonight. This project is about transition zones between the public and the private as well as the virtual and the actual. Conceived as a gate between body and mind, the project responds to several related issues such as the Internet censorship (in 2011, Blogspot sites were blocked by the Turkish government), appropriation of the streets in a competitive way and the effects of urban transformation on the body-mind-world by suggesting a motto for new utopias: “another internet is possible”. Some time after looking for an appropriate spot on the street, I found a wall that was continually being painted over and over by graffiti artists. I took a photo of the wall and used it as a wallpaper on the project blog (http://yumusaksehir.blogspot.com). This was an act of carrying the wall from a physical to a virtual stage, as well as into a vague zone between public and private space, namely to my project blog site. After that, I turned the blog post to a physical poster by printing it out. I found the same wall, pasted my printed blog-poster on the wall: this was an act of carrying my blog onto the street wall, another vague zone, again. 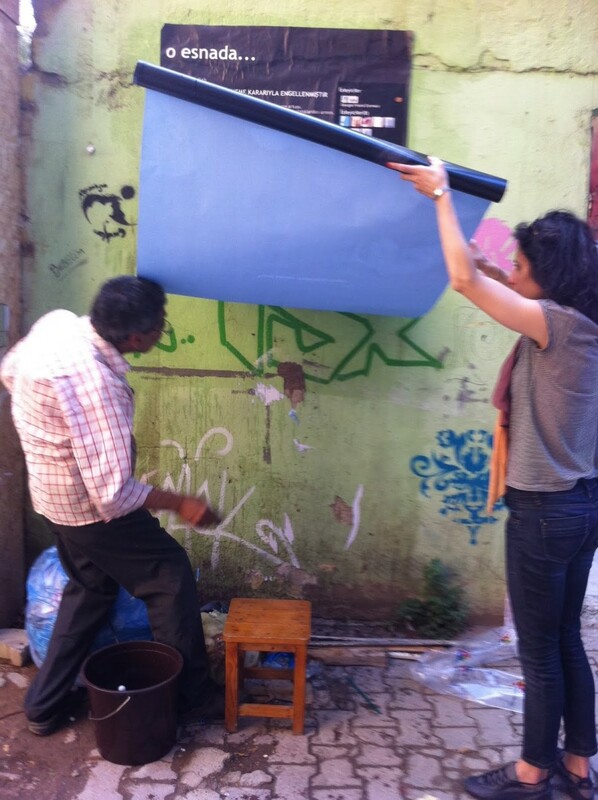 The process continued with other intervenors; both on streets and on Internet; online and offline.